The Volkswagen Golf and its sporty GTI and Golf R versions were named best in their respective segments by the Car Guide, one of the most important and authoritative websites in Canada. The 2019 Volkswagen Golf won the Compact Segment ahead of the Hyundai Elantra, the Honda Civic and the Mazda3. The Volkswagen Golf finished with an overall score of 85 % taking into account fuel economy, reliability, safety, driving pleasure, and the ease of the infotainment system. The Hyundai Elantra, the Mazda3 and the Civic finished with 82 %. In the Compact Sports Cars segment, the Volkswagen Golf GTI and Golf R finished with 84 %. The Honda Civic SI and Type R finished at 82 % with the Subaru WRX also getting 82 %. The Volkswagen Golf has always managed to stand out in its segment by offering more power and versatility than its closest competitors. 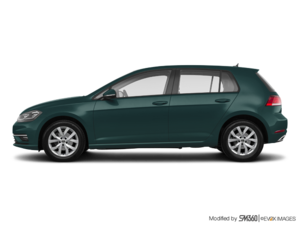 The Golf features a 147-horsepower turbocharged four-cylinder engine that also has 184 pound-feet of torque, more than any other compact car’s base engine. It also has nearly 500 liters of cargo space, making the 2019 Golf more spacious and versatile than the vast majority of compact sedans and hatchbacks. Its German-engineered performance also ensures optimal handling, sporty driving dynamics, and the very best balance of comfort and driving pleasure you can find. The 2019 Volkswagen Golf GTI ups the power to 228 horsepower and 258 pound-feet of torque at just 1,500 rpm. The Golf R has even more power to offer with a 2.0-liter, four-cylinder turbo with 292 horsepower and all-wheel drive. The GTI and Golf R take the base Golf’s incredible handling and agility and adds more power to the equation for an exhilarating driving experience and one of the best price to performance ratios in this price range. 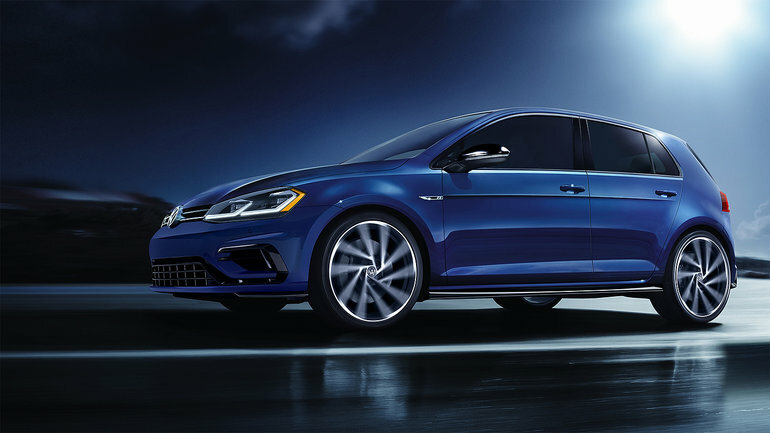 Contact us today to learn more about the new 2019 Volkswagen Golf and Volkswagen GTI/Golf R families.